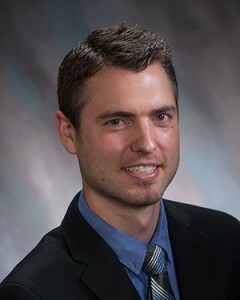 Chad Allen, D.D.S., was born and raised south of Fort Worth, Texas where he completed his undergraduate education with honors. He then moved to southern California where he attended Loma Linda University School of Dentistry. After completing dental school, he transitioned directly into a four-year residency in oral and maxillofacial surgery. On a personal note, he married his wife Kamron who was born and raised on the central coast. She was enrolled in dental hygiene at Loma Linda University when they met. After practicing for 3 years, she returned to school to obtain her master’s degree as a Physician Assistant. They are accompanied by their Yorkie, Winston. Their love of the outdoors draws them to this area and they are excited to return to the central coast.